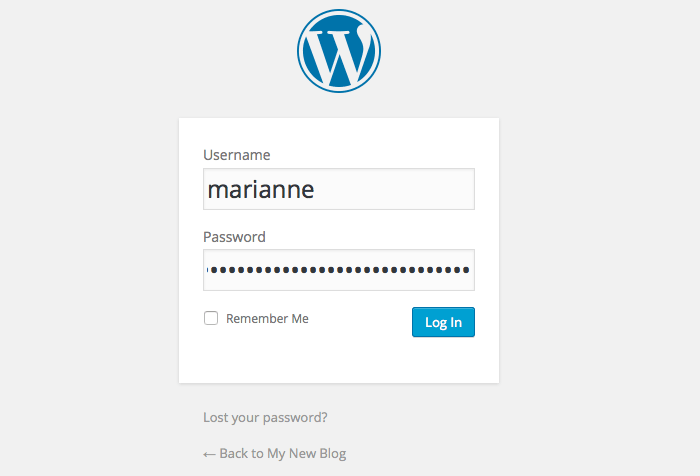 So you’ve decided to go with a self-hosted WordPress blog! High Five! 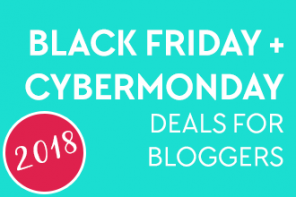 Today I’ll walk you through the exact steps to get your hosting set up and then install WordPress so you can get started blogging as soon as possible. The account set up and install should take no more 15 minutes, so let’s go! Start by downloading the handy Domain Name worksheet/checklist which includes the following instructions now. This will help you to organize your thoughts and make sure you don’t miss any steps. Bonus: the worksheet is digitally editable so you don’t need to print it. Save a tree! 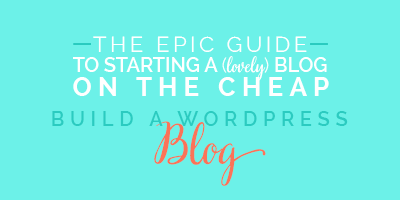 How to Start a Blog for Free or on the Cheap: THE ULTIMATE GUIDE! It’s always best to have a .com extension, but sometimes it’s just not possible to get the one you want. .net is a good alternative, but be careful about choosing a .net domain where someone else has the .com because a lot of times, people will type in your domain with the .com extension and go to the wrong site. The first thing you want to do before choosing a domain name is to identify your audience and your brand. 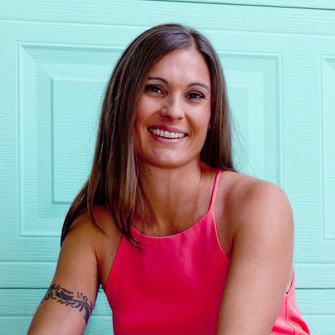 I highly recommend Julie Harris’ post You Are Your Business: Who Are You? and downloading her free worksheet. 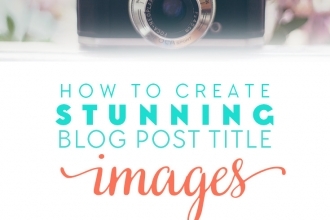 Once you have a better idea of who you are planning to serve with your blog, you can begin brainstorming names. Follow along in your worksheet. Start by jotting down any and all names that come to you in your worksheet, even if they sound silly. The reason for doing this is to get everything out there and generate more ideas. Next you’ll want to narrow down your list to a few of your favorites. If you can whittle it down to 10 or less, that’s great. Now enter in the domains you’re left with in the widget below to see which ones are actually available. Mark the ones that are available in your worksheet. If one is not available, a bunch of recommendations will show up for you on the next screen. This could help you to further brainstorm. Does it make sense to my audience? Is the domain something that your audience would resonate with or understand? Is it easy to type? If you were to tell someone your domain name out loud, would they know exactly how to spell it? Be wary of using slang or shortened versions of words such as “u” for “you.” Stay away from dashes as those are not only difficult for people to remember, but difficult to say out loud. Numbers are also sketchy because people won’t know whether to use the digit or the spelled out number. Is it 2gals.com or twogals.com? Is it short and memorable? The best domains are short, but those are hard to find. Just keep it in mind as you’re selecting a name. Something that is very long can be difficult for people to remember. A memorable name is something that sticks in people’s minds rather than them trying to remember a random mix of words. Does it use keywords? If at all possible, try to use keywords in your domain name. Again, these are not as readily available, but you can still find some good ones. I got super lucky when I got DesignYourOwnBlog.com. Because lots of people actually search for “design your own blog” or a similar phrase, I get a lot of organic search traffic. But the thing is, I researched domains for a few days before I figured this one out. Does it have a trademarked name in it? Is there a trademark or copyright on it? You can’t use ilovecocacola.com or facebookgroupslist.com because you can’t legally use someone else’s trademarked name in your domain. Read Suzi’s encounter with Facebook for more on this issue. Search the US Patent & Trademark website to be sure. Is it already being used? Let’s say you wanted to buy starfish.net because it’s available, but starfish.com is already being used. It’s probably a bad idea to go with it because people will only remember the “starfish” part and most people automatically type “.com” so you’ll be sending a lot of your traffic to someone else’s website and confusing them. Is a similar name already being used? Do some Google searches for names that may look or sound similar to be sure there isn’t already a domain out there that’s one character away from yours. Is it appropriate in other languages or cultures? Is it available on social media? Use namechk.com to check availability to various social networks. This is not absolutely crucial, but if you can keep your names all the same, it makes it easier for others to find you. When you think you’ve narrowed it down to one or two names, ask other people what they think. Be sure to ask those who could be in your potential audience too. If you find that more than one domain name applies to your blog and passes the test, you are of course welcome to buy as many domain names as you want. They can all point to the same place. Then she points those domains to her main domain, catsandstarfish.com. Boom! Now when someone does a Google search for “homemaking by the sea” or homemaking at the beach,” it will help her blog to show up in the results. 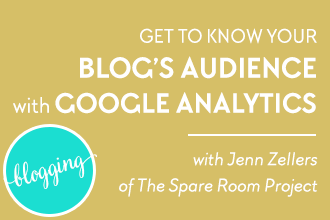 Of course, she will also have to be using those keywords throughout her content, but having keywords in your domain definitely gives your blog a boost in the search results if someone searches for those specific keywords. 8 incredibly excellent points to consider when choosing a domain name. Includes great info on choosing a domain and an extension. Now that you’ve settled on a domain name (or two), you can reserve the primary domain while you purchase hosting. Hold on just a sec and we’ll get to that in Step Three. You may want to purchase additional domain extensions to protect your brand as well as common misspellings of words in your domain. This is to direct people to your website in case they misspell your actual domain. It also protects your brand from competitors who may want to steal away your traffic. 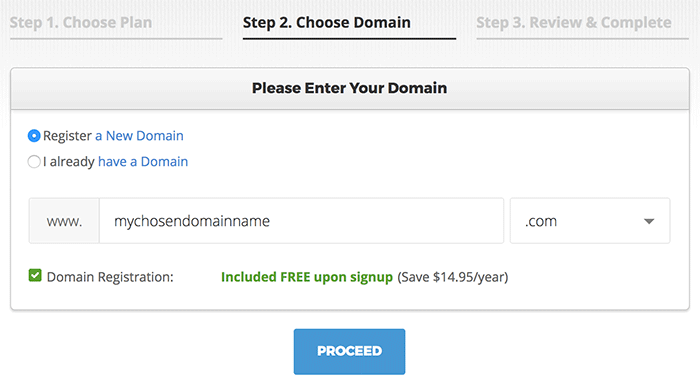 To purchase additional domains, I highly suggest using Namecheap.com* because they really are the cheapest. I will show you in the next step how to forward these additional domain names to your blog at your primary domain. In a bit, I’m going to walk you through purchasing a hosting plan with SiteGround. * SiteGround is what I use to host DesignYourOwnBlog.com and out of 4 different hosts I’ve used for my websites, they are by far THE BEST! If you call, SiteGround picks up the phone immediately. They even have a non US line for those out of the United States. When you contact SiteGround through chat, they answer immediately. Your issue is usually resolved in 5 minutes or less! After submitting a support ticket, their first response is within 10 minutes! SiteGround’s average resolution time is 31 minutes compared to eleven hours with other hosts. SiteGround has an amazing uptime average of 99.99%! Websites on SiteGround load in 1.68 seconds on average. Compare that with the industry average of 4.7 seconds. SiteGround sites handle more traffic, so when that post finally goes viral, your site won’t crash. 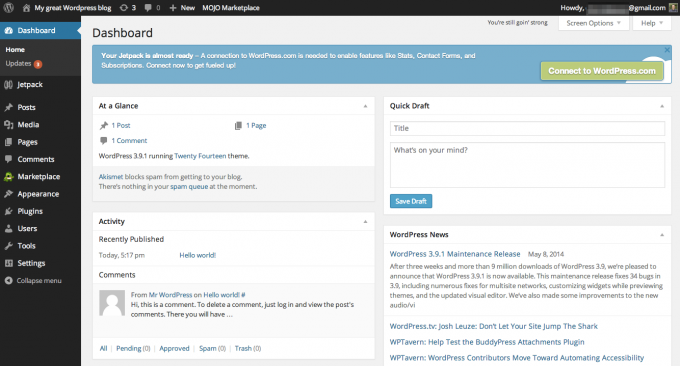 You may have heard that WordPress blogs are more vulnerable to hacking and attacks. 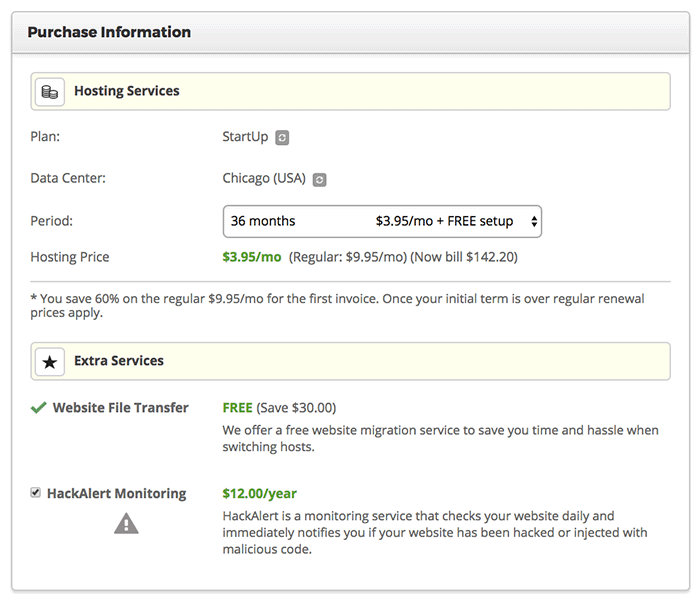 When you host with SiteGround, they have your back, unlike many cheap hosts. Their security experts constantly monitor for WordPress related vulnerabilities and proactively protect your site. They also update your WordPress versions automatically, and make daily backups of your hosting account. This is HUGE and gives you major peace of mind! When you sign up for a new hosting account, you get a FREE primary domain name for it! Woohoo! For an easy start they provide a 1-click WordPress installer and free transfer. Plus SiteGround support will help you with ANY issues you may come across. 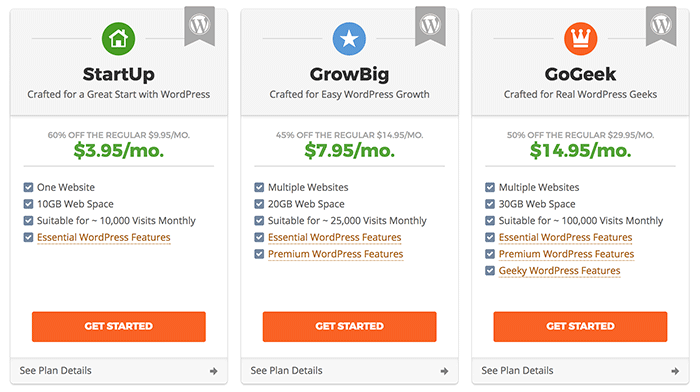 SiteGround is quickly becoming a leader in the WordPress hosting space because of their top-notch service. SiteGround is also officially recommended by WordPress.org as one of the best and brightest WordPress hosting providers! You can get started on SiteGround for as little as $3.95 a month and if you prepay, you’ll get that pricing for as many years as you’d like! 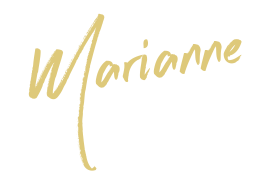 I’m on the GoBig plan right now because I need the additional space and visits, but if you’re just starting out, StartUp is all you need. I suggest going with the StartUp Plan as that is really all you will need when you’re just starting out. You can easily upgrade later when it’s necessary. Plus it’s only $3.95/month! Next you’ll enter in your account and billing information. Make sure you enter an email address you use often as this is where you’ll get renewal notifications and other important alerts. Also be sure to keep your new password somewhere safe so you can log in once your account has been created. Down the page, you can select your Purchase Options. Select the term you’d like to purchase hosting for. The longer term you choose, the longer you can lock in the intro pricing. I went with 3 years. Website File Transfer is automatically included. This means that SiteGround will help you to transfer from an old host (if you have one) to your new plan for free. Add HackAlert Monitoring. I don’t get anything for recommending this but I highly recommend adding this on. It’s only $12 a year and gives you true piece of mind as it constantly monitors your site and make sure it hasn’t been hacked. Once you’ve paid, you’ll receive an email confirmation and you’ll be able to log into your account right away. On your first login to Your customer area you will see the Setup Wizard popup box. You can use the wizard immediately or choose the “Remind me later” option on any step of the setup. 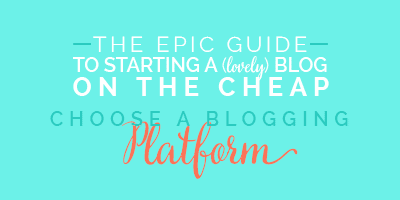 For further instructions on setting up your new blog or transferring your old blog, you’ll want to visit the Getting Started Tutorial. OR enter a support ticket and they’ll do it for you! Alternatively, if you already have a blog hosted somewhere else, you can follow the WordPress Transfer instructions or enter a support ticket and they’ll do it for you! And Voila! You’re now officially in your dashboard where you’ll be adding posts, pages and plugins in no time! 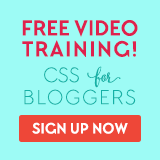 For more awesome WordPress video tutorials like this, sign up to view some free videos at WordPress 101*. If you’ve already purchased your primary domain somewhere other than SiteGround.com*, then all you need to do is ask SiteGround support to help you point your domain to your new blog. They will gladly do this for free. If you already have your primary domain setup with your blog and want to forward your additional domains from Namecheap* to that same blog, then follow the steps in this tutorial. There is also a video. 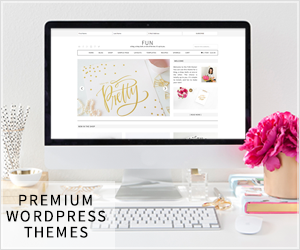 In this section, we’ll talk about how to best configure your settings to get the most out of your new WordPress blog. I will be going over the important ones here to get us started as quickly as possible. The rest you can feel free to leave as is or do your own research to determine how you’d like to use them. Under ‘General’ we only need to worry about our Site Title, which is your blog’s name, the Tagline, which should explain in one phrase what your blog is about. 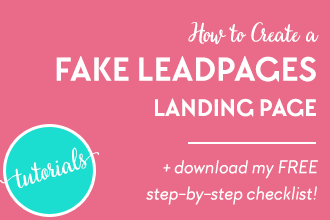 Learn how to create a kickbutt tagline. The WordPress Address and Site Address should be the same. 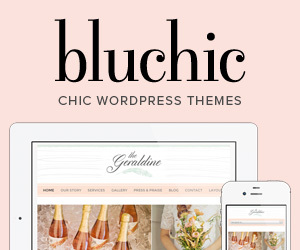 Make sure your email address is current so you get important notifications about your blog. Set the correct time zone for your location. The date and time zone formats are up to your preference. Formatting: Check both check marks. We haven’t created categories yet, so we’ll keep default categories as is for now. Front Page Displays: If you want your home page to be your list of latest blog posts like many blogs do, then you’ll want to select ‘Your latest posts.’ Later on, you can create a static home page (like many business websites have) and then select ‘A Static Page’ to be your home page. Blog Pages Show at Most: this is how many posts you’d like to appear on each blog page. The lower the number, the quicker the pages will load. For each article in a feed, show: I recommend checking ‘Full text’ because many people read blog posts in an RSS reader and don’t want to be forced to click through to the website to read the entire article. Of course this will lower traffic to your site, but it will keep readers happy so it’s a fine line. Search Engine Visibility: leave this unchecked unless you really don’t want search engines to find your site. Here you can set the dimensions for your uploaded images. When you add a new image to a page or post, you’ll be given the option to display one of these sizes. I’d leave these as is for now and we can always change them later depending on the theme you decide to go with. Organize my uploads into month and year folders: keep this checked as it will make it easier to find your uploads. Permalinks determine how your URLs display in the address bar. DO NOT leave this at Default as it won’t help you with SEO. Most experts agree that the ‘Post name’ is the best option here. I highly recommend checking out WP101 Tutorials. * You’ll get a month free when you sign up so it’s worth checking out the videos. These are the plugins I recommend you start with. With time, you’ll add and remove many more, but this will help you get a good start with your new blog. Most of the following plugins are all FREE! Isn’t WordPress wonderful?! It’s inevitable that your blog will soon be found by the spam bots and boy are they relentless! Rather than delete thousands of spam comments a week, let Akismet do it for you. It’s free and catches 99% of spam comments. Priceless. 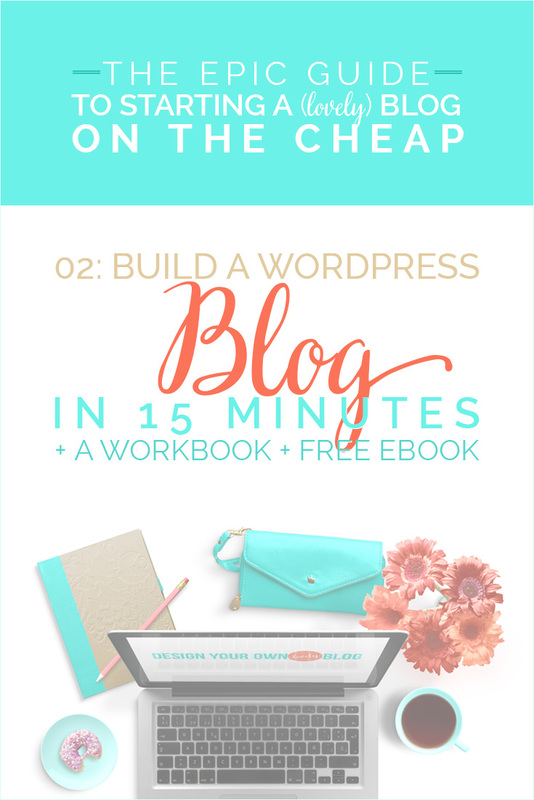 I speak from experience when I say that you will not want to delay in backing up your blog. Before I knew better, I had two blogs hacked and nearly lost all my content! 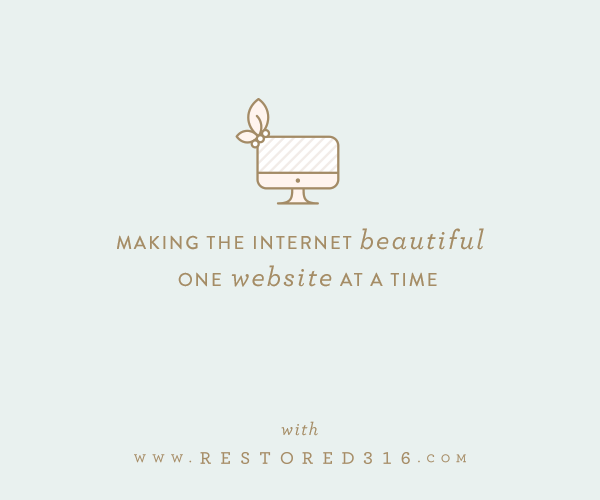 Luckily I had backed it up and was able to restore my blog. Don’t lose your hard work, it’s not a matter of if, it’s a matter of when. BackWPup: the free version is all you need. Speaking of hacking, don’t make the mistakes I made and keep your site protected. I haven’t been hacked since implementing this plugin (knock on wood)! Like I said, you WILL get hacked if you don’t put security measures in place so do not delay this step. 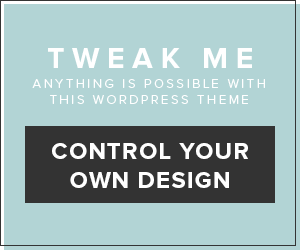 TAC Theme Checker: this plugin is only necessary when you install a new theme from a non-reputable theme developer. It’s always a good idea to check it with this plugin to make sure the theme hasn’t been injected with any spyware or malicious code. I usually uninstall this plugin after I’ve decided on a theme and checked it. A great read on some additional plugins you may want to look into for security. Make it easy for others to share your content on their social media channels by adding easy buttons at the bottom of all posts. jQuery Pin It Button for Images: lets you add a custom Pin It button to your blog. Here is my tutorial on how to create a custom Pin It button using this plugin. Frizzly is jQuery Pin It Button’s replacement, but I have not tried it yet. Shareaholic makes it easy for others to share your content. Click to Tweet will allow you to embed Tweetable quotes directly into your blog posts. If you want to get found by search engines, this plugin is your friend. 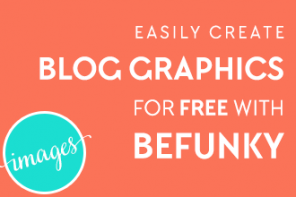 These plugins enhance engagement and encourage more comments. The following two plugins allow commenters to get an email when you or someone else has replied to their comments. This keeps conversation going. I had some issues that others were not having with Subscribe to Comments Reloaded, so try out Comment Email Reply if you have issues too. CommentLuv allows commenters to leave a link to their latest post. This encourages comments and gives your followers a little gift each time they comment! This plugin allows you to create a redirect link to any of your affiliate links with your own domain. 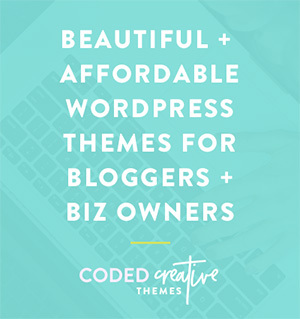 For example: www.designyourownblog.com/siteground. We’ll get to setting up a MailChimp* account in Part 4 and when you do, you may wish to install this plugin as it will help you add an opt-in form to your sidebar and also adds a checkbox near your comments that gives people the option to easily subscribe to your list as they leave a comment. 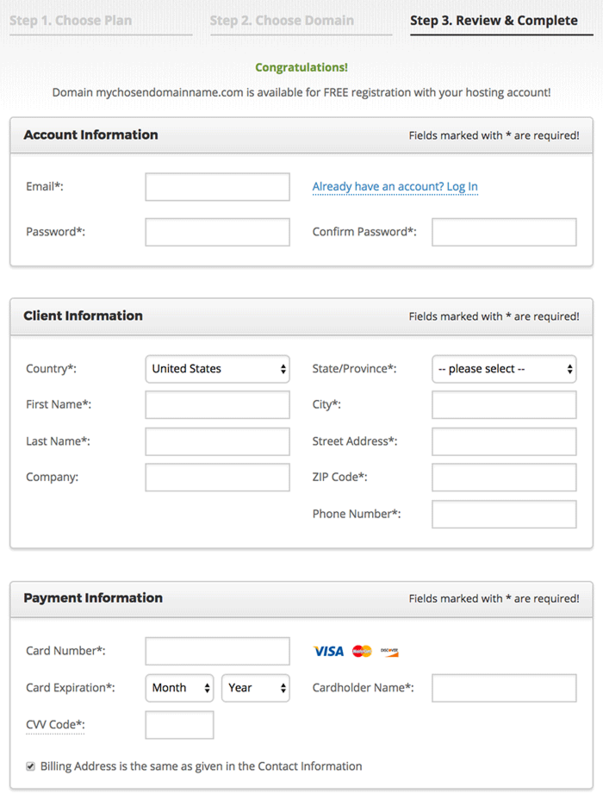 By the way, if you’d like to prettify your sidebar opt-in form, check out my 4 part tutorial. You will find that there are numerous times that you’ll need to add some code to the head or footer code in your blog (i.e. analytics tracking codes). If the thought of editing PHP code makes you uncomfortable, then this plugin is a must. (We’ll get to analytics in Part 3). In your dashboard, click on Jetpack near the top and sign in using your WordPress.com account. Create one if you don’t have one already. Jetpack will expand the functionality of your blog in many ways, just be sure to only activate the ones you’ll really need and use because otherwise you can severely bloat your blog and slow it down. If you ever see a super cool plugin on another WordPress blog and wonder what it is, you can easily figure it out by going to whatwpthemeisthat.com and plugging in the URL for the blog. This will not only tell you what plugins they are using, but also what theme. Pretty sweet! Be Aware of Too Many Plugins. 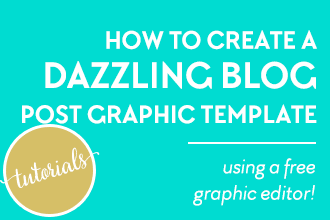 While plugins are great to have, having too many can noticeably slow down our blogs so only install those that you feel are vitally important and serving a great purpose on your blog. Before installing a plugin, make sure the latest version is compatible with your version of WordPress. You’ll also want to check that it’s been updated in the last year. Some older plugins that haven’t been updated can leave holes open for vulnerabilities. Be sure to check the reviews/ratings. 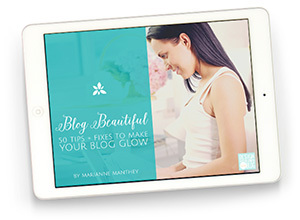 Sometimes plugins don’t play nicely with one another and do strange things to your blog. Always install plugins one at a time and check your blog to make sure nothing strange is happening. If it does and you really want to keep that plugin, then you might have to deactivate some plugins to see which one(s) aren’t playing nicely with it. Don’t forget to keep your plugins updated. Out of date plugins can leave your blog vulnerable to hacks so be sure to update whenever you see an update is available in your dashboard. You will see an orange circle with a number in it next to the Plugins menu item in your dashboard whenever there is an update. 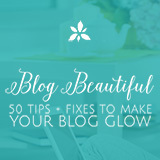 Before you update though, take a backup of your blog just in case something goes wrong. Use the BackWPup plugin mentioned above to get this done. 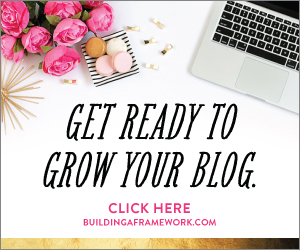 Ready to start filling out your blog? Awesome! 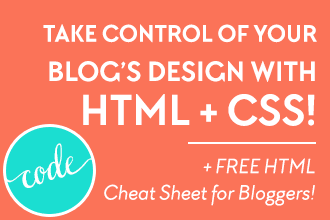 Let’s move on to Part Three where we’ll discover how to fill out your pages, posts, sidebar and footer to look like a real blog! Don’t forget to grab your free and handy Domain Name worksheet/checklist! Phew! What did you think? 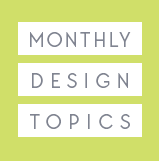 I’d love to know about your experience or your questions with hosting, domains and installing WordPress. Be sure to leave a comment below! Ahhhh, I’m sad! I just signed up with Bluehost yesterday! lol what luck. However, your tutorials are right on target for me, so – yay! Thanks for all the awesome tips and the advice over the weekend, I now own my own domain through WP.org, but taking it slow so I can get it set up the way I want it! That’s great Ruthie! So glad you got set up and sorry about the timing! Wow, Marianne, this is indeed epic! 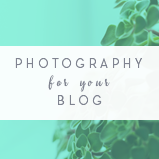 I have set my blog up some time ago but if I was a newbie blogger, that would be hugely helpful. Thanks for sharing so much. Stephanie recently posted…Yes you should go on holidays to Greece! Thank you Stephanie, I appreciate that and also you stopping by, it’s so good to “see” you! 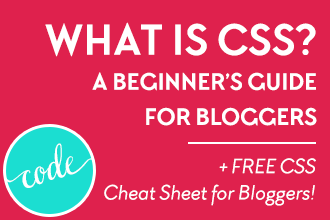 Marianne: I agree with Stephanie – this is such a great guide! Even though I’m totally set up, I’m going to reference several things, like your plugin suggestions. My Pinit button seems weird somehow. 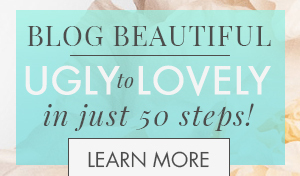 I love all the step by step you give – it makes it all so easy! So great Amy! My intention was exactly that: to still be useful to those who are already set up on WP. Glad you’re finding it helpful too! Thanks for coming by to check it out! 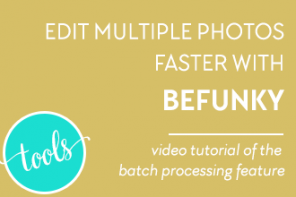 Wow – this is a comprehensive walk-through! 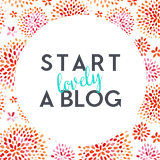 I have already set up my blog but funnily enough was struggling with the whole ‘my name doesn’t reflect what I do’ dilemma and was thinking I would have to change my entire blog name/branding etc. Thank you SO MUCH for saving me that particular headache! Off to Namecheap for a small purchase and redirect next. I think I’ve said this before (and if I haven’t, I should have) but you are so generous with the information you give away on here, Marianne, I really appreciate it (as I’m sure lots of others do too). Oh Heather, that is so nice of you to say and you are so welcome! I am so glad this post helped you resolve your naming dilemma too, bonus! Thank you SOOOO much for this truly epic guide! My new website is UP and RUNNING 🙂 🙂 in no time at all. Wow! I really liked how easy it was to move all content from the old, free wordpress to the new one. 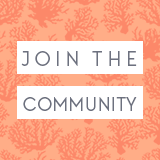 Now I just need to to find out if my “follow me on bloglovin”-button is directing people to my old or new place? But that would be easy-peasy to change, I think! This is so generous and helpful of you, and I will try to spread the word to everyone! Hi Tina, I’m so glad it was easy for you to switch platforms, you’re going to love the new WordPress site vs the free one. So much more flexible! hey, I have a question… Can I buy web hosting for only one domain name and not for others? Or do I have to take web hosting options for all of them? I am not sure I understand the question fully. Could you explain a bit more about what you are trying to do? I mean, if I have 2 domain names xyz.com and abc.com but I want both these domains to direct to one page… Do I need to buy separate web hosting services for both of them.. or is there an option where I purchase web hosting for xyz.com and include abc.com in it? Ah i see Priyanka, thanks for explaining that further. No, you only need to purchase hosting for one website. You can point as many domains as you’d like to that one website if you wish, even if you’ve purchased the domains with a company separate from your host. Your host should be able to point you to documentation on how to point additional domains to your site. It’s not complicated. Thanks for reading and commenting! Happy Holidays. Thank you so much for your post, the information is so great. We have our website through Go Daddy and I am going to start blogging. My question: eventually we will leave Go Daddy and get our site professionally done, do I get WordPress Hosting through Go Daddy or do it directly through Word Press? Also, I can use a subdomain name from Go Daddy, is that a good idea? My concern is that if we eventually leave Go Daddy, can I bring my blog with me? 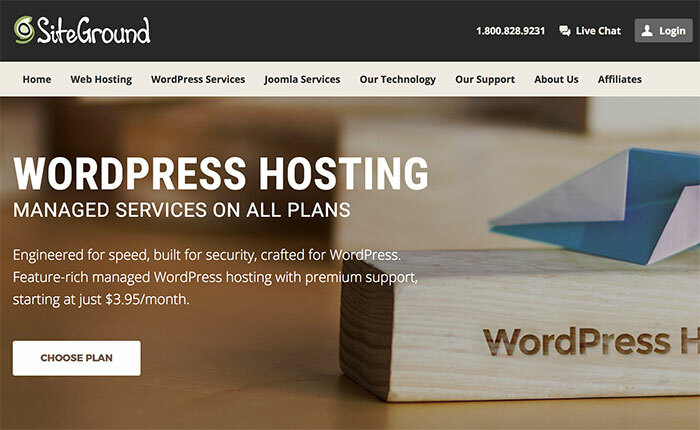 So you have to have a hosting company to install WordPress onto, so yes you will use GoDaddy since WordPress.org is blogging software, not a hosting service. You can use a subdomain for your site, but for SEO purposes, it’s usually not a good idea for a main business website. Is there a reason you can’t use an actual domain? And if and when you decide to leave GoDaddy, you can certainly take both your domain and website with you as long as you are using WordPress. Your new hosting provider should be able to help you with the migration. OMG Marianne, you are absolutely amazing! I just spent like an hour reading through this post and going back and forth to figure everything out. I have been delaying my transition to WP because every time I logged into the dashboard I got super overwhelmed and just left! THANK YOU a million for this incredible post, it is now bookmarked on my computer and I’m sure I will be referring back to it often. Quick question, what are your thoughts on Disqus as a comment system? I have liked using it when commenting on others blogs so I was considering using it for mine. Any input? Hi Jeannie, aw you totally made my day! I am so glad to hear this post was a breakthrough for you! In regards to Disqus, I am torn and it seems like most people are too. They either love it or hate it. I think bloggers love it on their blogs, but some people hate leaving comments because they don’t want to log in every time they have to leave a comment. I personally have abandoned comments sometimes because I couldn’t remember my login. But then those who use it love it, so I guess you could try it and see how it works for you. You’re so welcome Rajnish! I’m so happy that this was helpful to you! I was feeling super overwhelmed with starting a blog and this completely relieved me. This was so incredibly helpful I can;t wait to move on to part 3!! Oh I’m so happy to hear it Sonora! Thanks so much for letting me know and please let me know when your blog is ready to go live! Be sure to eave a comment below! haha thanks for catching that Christine! So many blogging “experts” recommend BlueHost, so I had that at first, and it was awful. Now, when I see an affiliate for BlueHost, that expert just loses all credibility with me. You have so much great stuff. It will take me days to get through it all. Hi Keri, I actually had to take the free book offer off yesterday anyway because it is against SiteGround’s terms. 🙁 I used to recommend Bluehost as I use them for some private and family blogs. 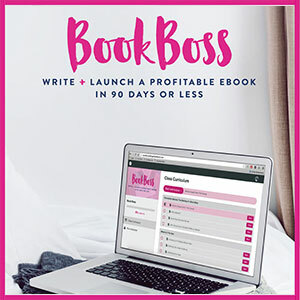 But I have been hearing so many complaints about them lately that I didn’t want to recommend them anymore because I was afraid I could be doing a disservice to my readers. I have been using SiteGround for 2 years now and absolutely love them so it was a no brainer to finally change recommendations. Thanks for the sweet words! I am nervous about pulling the trigger for the cost. Any benefit from starting with wordpress without using Siteground to start? Hi Jamie, I would definitely NOT start with the free WordPress.com version if you are worried about start up costs. I would choose Blogger over WP.com any day. You can easily switch from Blogger to a self-hosted WP site later if you want to, much easier than you would be able to from WordPress.com. Great Dion, hope this guide helps you get started!